"It's not just good to be different, it's better to be different." Some of you may remember Rami Malek as Ahkmenrah in the “Night at the Museum” franchise, or maybe you remember him as Merriell ‘Snafu’ Shelton from the miniseries “The Pacific”, or maybe as Finn from 2014’s “Need from Speed”. The idea is that he’s been around the block a few times before he’s breakthrough success playing Elliot Alderson, a brilliant tech engineer, in the hit drama series Mr. Robot. But if any of these references don’t ring any bells, mentioning his phenomenal performance as Freddie Mercury in 2018’s biopic “Bohemian Rhapsody” surely will. The quote above is from Rami’s acceptance speech after winning the Critics’ Choice Awards 2016 for his portrayal of Elliot in Mr. Robot, and it fits both his life and his character so well. Being of Egyptian descent he didn’t have is so easy in Hollywood and in many interviews he said that ‘maybe I am too ethnic, or maybe I am not ethnic enough’ when talking about possible roles he could have got, so he clearly knows what it’s like to be different, and all the ups and downs that come with that. And indeed some of his earlier roles were based on his heritage and exotic looks (“Over there”, “24” and even “Night at the Museum”), until he started getting serious job offers based on his acting skills. And his first major role was that of Merriell ‘Snafu’ Shelton in “The Pacific” (2010), a miniseries about the horrors of World War II as seen through the eyes of several young soldiers, produced by Tom Hanks and Steven Spielberg. Other major roles include the Oscar nominated drama “The Master” (2012), with Joaquin Phoenix, Amy Adams, and the late Philip Seymour Hoffman, the touching and emotional “Short Term 12” (2013), the deeply psychological (indie) drama “Buster’s Mal Heart” (2016) as well as a wonderful remake of “Papillon” (2017), where he stars alongside Charlie Hunnam. After some more or less minor roles in various movies, Rami Malek finally had some traction going and landed one of his most iconic roles to date in Mr. Robot (2015), which on the surface is a TV show about a group of hackers that want to take down this multinational conglomerate that they consider to be evil (hence the nickname Evil Corp). But it’s way more multi-layered than that, as Elliot’s character is different from your everyday leading man in a drama series. He’s an introvert with social anxiety trying to do some good deeds in this world, and that is how we see him in the pilot, as a vigilante hacker who uses his computer skills to make the world a better and safer place. What is really fascinating to watch in this series is on, on the one hand, Elliot’s intense and dramatic relationship with Mr. Robot (played brilliantly by Christian Slater) and, on the other hand, Elliot’s inner workings, thoughts and emotions, displayed both by Rami’s superb acting (it’s no wonder he won an Emmy award for that) but also by voice-over, which add so much depth and intensity to the storyline. It’s a pretty dark show but quite relatable to what is going on in this day and age, with more and more people suffering from mental health issues, and the show’s depiction of those struggles is spot on. To exemplify, there’s a heartbreaking scene from the pilot where Elliot is crying, feeling lonely, and asking himself “What do normal people do when they get this sad?”, and honestly that line has haunted me for some days after seeing that episode, trying to come up with an answer to that question. 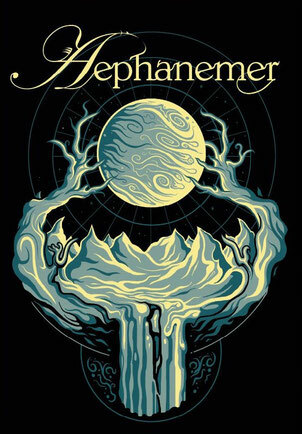 I don’t want to get into more details as it’s pretty edgy at times, but all in all, it’s an incredibly amazing show, and quite different from most TV shows you see these days. A definite must-watch for everyone. Trailer here. And now to come back full circle to the quote at the beginning, and to Rami Malek’s second most iconic character to date, Freddie Mercury – one of the best and greatest rock legends of all times, who did things differently and reshaped the rock scene with his vision and fierceness. Here’s a fun bit of trivia for you: Rami Malek was the only actor that was actually cast in this role, and all based on his work on Mr. 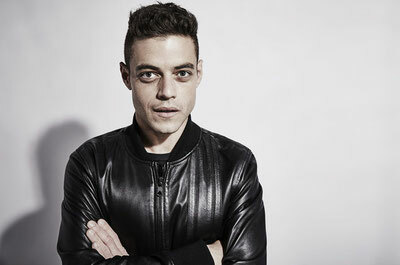 Robot, which in itself speaks volumes on Rami’s talent and dedication to his craft. 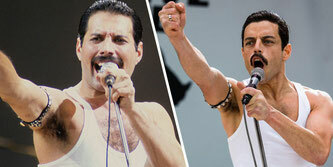 True enough Sacha Baron Cohen and Ben Whishaw were also considered for this part, but Rami got the role in the end. And he did such a wonderful job of bringing Freddie’s personal story as well as Queen’s history to life, and introducing them to a new generation that has probably never heard of them, or only know of them on a superficial level. Rami’s portrayal and acting throughout this movie is just top-notch, as everything, from Freddie’s mannerism, to his movement and his style of speaking, is impeccably done. It’s impossible not to be impressed or moved by how perfectly Rami captures his emotions, his struggles, and his insecurities as a person, as well as his flamboyance and larger-than-life persona, especially while on stage (just pay close attention to the Live Aid sequence). The hours Rami put in researching, taking piano lessons, singing lessons and just getting Freddie’s moves as accurately as possible, paid off big time. He’s electrifying from beginning to the end. Kudos, Rami Malek, for such an impressive performance. (I’m keeping my fingers crossed for an Oscar). Watch the trailer. For more clarifications watch this fun little interview. So there you have it, from rather humble beginnings in this industry, to gracing the silver screen as Freddie Mercury, Rami Malek’s journey in the spotlight is quite an inspirational tale of perseverance, hard work, and dedication. Needless to say, I am looking forward to whatever else he will be doing, either in another TV show or in the movie business. As a side note, I have to say that I love seeing stuff like this happening. And by ‘stuff like this’ I mean (1) actors getting recognized for their talent and not the color of their skin and (2) musicians getting the recognition they deserve on the scene. 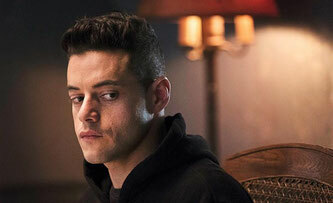 To clarify that, I am happy that Rami Malek is getting so many awards, praise, and accolades from his peers, critics and fans alike (he’s won the Breakthrough Performance Award at Palm Springs, as well as a Golden Globe, both awards for his role in Bohemian Rhapsody), and that Tunisian metal band Myrath is playing the at the best metal festival there is, Wacken Open Air in 2019 (hope to see fellow Tunisian bands Carthagods and Persona on the bill as well some day). This is how it should be! So, to paraphrase Rami here, things are definitely changing, let’s keep the trend going, shall we? And on that note I am gonna leave you with this heartwarming interview about Rami’s many challenges and opportunities.